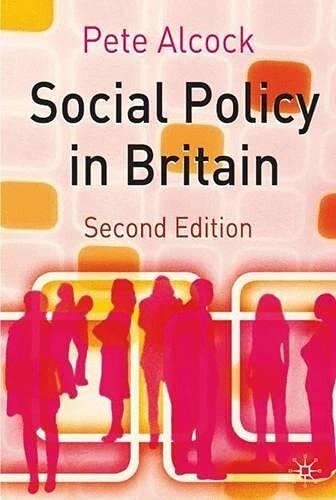 Covering the major changes in British social policy since Labour came to power in 1997, this textbook has been substantially extended in order to look at the core areas of social policy provision in addition to its discussion of the themes and debates that inform policy development and outcomes. This new edition of a best-selling introductory textbook has been thoroughly revised to cover the major changes in British social policy since Labour came to power in 1997. The book has also been substantially extended in order to offer clear coverage of the core areas of social policy provision in addition to its discussion of the themes and debates that inform policy development and outcomes. It handles a remarkable range of material and this new edition offers increased support to the lecturer and student in the form of boxed summaries, questions for both comprehension and reflection and annotated further reading lists.